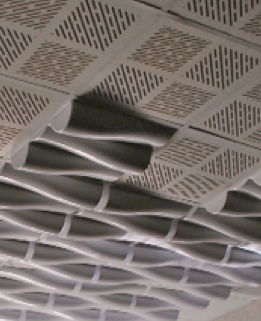 Smart Frame is the ingenious solution for almost any acoustic panel needs. It holds a 35mm 2100g acoustic material about 5mm away from the wall. 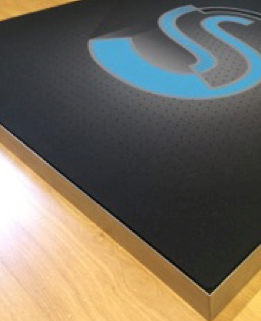 It keeps a small gap between the acoustic material and the fabric / print so the acoustic material does not imprint onto the cover panel.